Madog's Wells is in a beautiful valley, surrounded by plenty of wildlife, and is ideal for birdwatching, walking or touring Mid Wales. 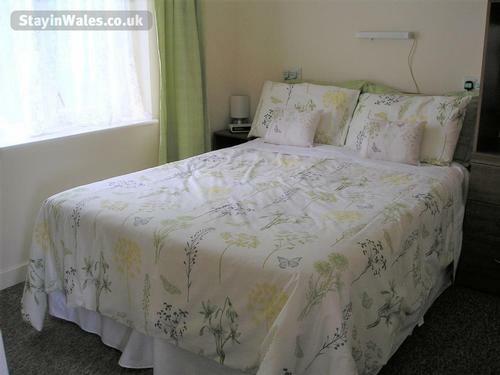 Wren's Nest - 2 Bedroom Holiday Bungalow. 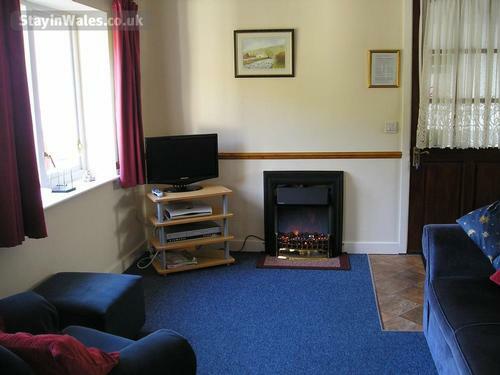 This small bungalow (wheelchair access grade 2) comprises a lounge/dining room which has sofa, table and chairs, electric fire, Sky freesat flat screen TV, DVD player and radio, kitchenette with fridge/freezer, Calor gas cooker, microwave, electric kettle and toaster, two bedrooms (one double, one single) which are heated by plug-in radiators and a wet-room style shower room with two support rails, washing machine available. Blackbird Cottage - three bedroom bungalow. This spacious bungalow, built in 2001, has wheelchair access grade 2. It comprises a kitchen/diner, lounge and three bedrooms [1 double, 2 twin] and a wet-room style shower room with various angled support rails. It has oil fired central heating throughout. The lounge has two settees and a Queen Anne style chair, Sky Freesat flat screen TV, DVD player and stereo system. The well equipped kitchen has a Calor gas hob, electric oven, fridge freezer, kettle, microwave, toaster, dishwasher and washing machine. Swallow Cottage - three bedroom bungalow. This spacious bungalow, built in 2006, has wheelchair access grade 2. It contains kitchen/diner, lounge and three bedrooms (a double and two twins) and a wet-room shower room including a bath with various angled support rails. It also has oil fired central heating throughout. The lounge has two settees and an easy chair with footstools, Sky freesat flat screen TV, DVD player and stereo system. It also has door onto a balcony. The well equipped kitchen has a Calor gas cooker, fridge freezer, kettle, microwave, toaster, coffee maker, dishwasher and washing machine. All our self catering units have ample cooking utensils, china, cutlery, smoke detectors, fire extinguishers and first aid kits. All bedding, linen, some towels, tea towels and utilities are included in the prices. Ample parking and picnic tables are outside each unit. A rotary clothes line, pegs and a washing machine are available for guests' use. There is a payphone on site as this area is 'a mobile-free zone'. Limited wireless internet available. We are situated in the countryside in a quiet valley, 3 miles from the nearest village of Llanfair Caereinion, 10 miles from Welshpool and 12 from Newtown. Local attractionsWithin half an hour's drive of Madog's Wells guests can reach Powis Castle, Pistyll Rhaeadr and Lake Vyrnwy. A little further afield is Centre for Alternative Technology (CAT) at Machynlleth, and the red kite feeding centre at Gigrin Farm, Rhayader and the Elan are pubs offering good food within 3 to 7 miles of Madog's Wells. Just ask and we will be happy to book a table for you. The rental includes heating, gas and electricity, beds made up, some towels, tea towels, dishwasher tablets, toilet rolls, and liquid for washing machines. A deposit is 50% of the total price at the time of the booking (payment by cheques, internet, details on request) and with balance on arrival. Hoist £20 pw. This is towards payment for servicing. There is a £10 to £15 charge per booking for dogs, maximum 2 please.